Your rampage brings you glory in the form of Victory Points ( ). To win, be the first Monster to gain 20 Victory Points. Or, get your claws out and eliminate your enemies. The last one standing claims victory! On your turn, you can roll the dice up to three times. You can stop rolling any time. 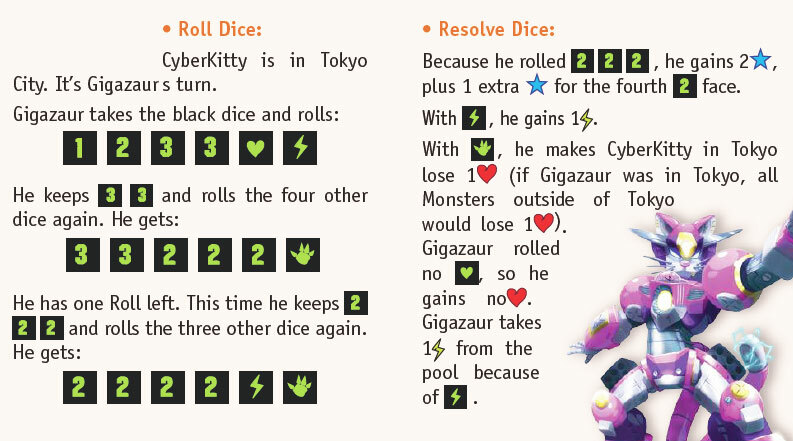 On the first Roll, roll the 6 black dice (and 1 or 2 green dice if you have a Power card that lets you roll them). For your second Roll, if you like some of your results, you can set them aside and only roll the ones you don't like again. For your third Roll, if you change your mind, you can roll any dice you set aside again, along with any you still don't like. After you finish your three Rolls (or you decide to stop), continue to the Resolve Dice step. You can resolve your dice in any order, but you must resolve all of them. If you roll three-of-a-kind of , , or gain as many as the number. Each additional die rolled with the same face gains you 1 additional . Gain 1 from the pool for each rolled. Place them in your reserve in front of yourself. Keep Energy cubes until you spend them. Monsters that are not in the same place as you lose 1 for each rolled. 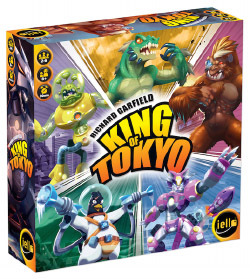 If you are in Tokyo (Tokyo City or Tokyo Bay) and you roll , all Monsters outside of Tokyo lose . 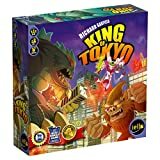 If you are outside of Tokyo and you roll , all Monsters who are in Tokyo lose . These Monsters can then decide to Yield and leave Tokyo or stay. Monsters who Yield Tokyo still lose . Each results in losing one Life Point . If a Monster loses his last Life Point then the appears and he is eliminated (his keep cards and Energy cubes are discarded). 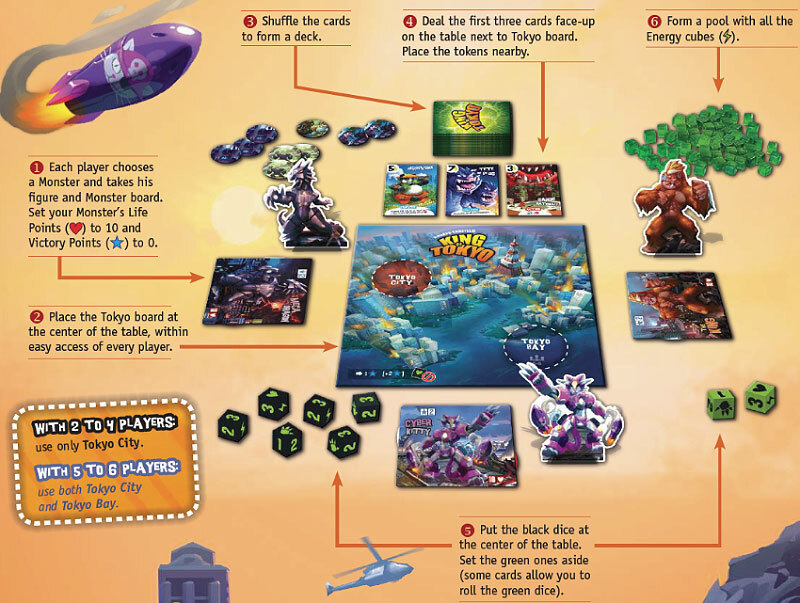 Since no Monster starts the game in Tokyo, the Monster who plays first does not cause Monsters to lose with . Note: lost dealt from a Power card effect is different than . A Monster can only Yield Tokyo when losing from . If you are outside of Tokyo, you can gain 1 for each rolled. If you are in Tokyo, the you roll do not let you gain (you can only gain with Power cards). Note: You can't gain above 10 . If no one is in Tokyo, you must enter and place your Monster in Tokyo City. You can only Yield when you lose from rolled by a Monster. Note: No Monster starts the game in Tokyo. The first player must enter Tokyo City during this step. 1 : You gain 1 when you enter Tokyo. [+2 ] : You gain 2 if you start your turn in Tokyo. 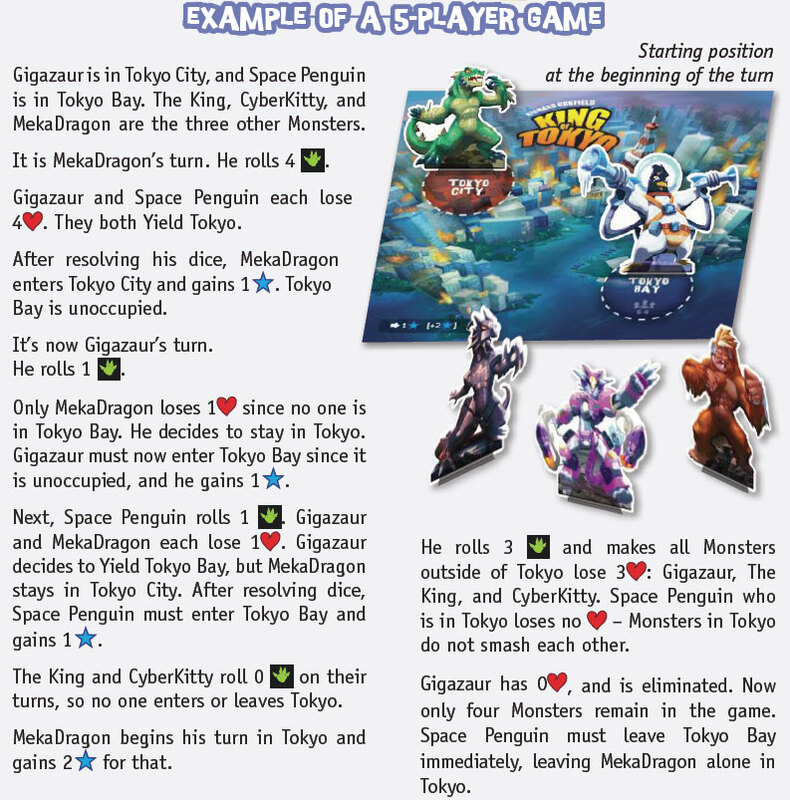 Monsters in Tokyo cannot use (but they can still use Power cards to gain ). 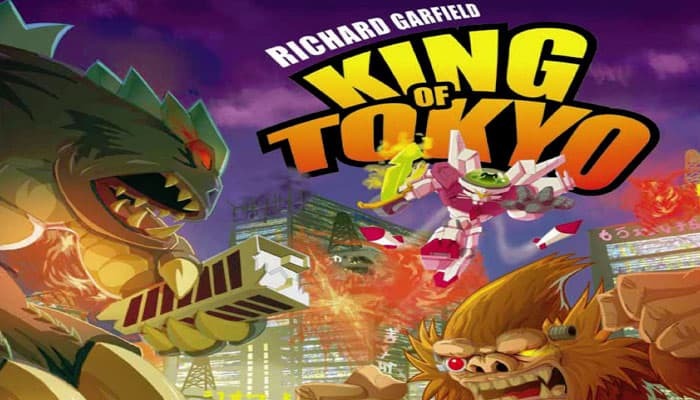 The of Monsters in Tokyo cause all Monsters outside of Tokyo to lose . The of Monsters outside of Tokyo cause all Monsters in Tokyo to lose . You can only leave Tokyo after losing from rolled by another Monster. You now may buy one or more of the three face-up cards. To buy a Power card, spend as many as the cost indicated at the top of the card. Replace bought cards immediately from the top of the deck. New cards are immediately available for purchase. You can also spend 2 to sweep all three face-up cards to the discard. Then reveal three new Power cards from the deck. They are immediately available for purchase. As long as you have enough , you can continue to buy or sweep cards. Certain Power card effects activate at the end of your turn. Once you're done, pass the dice to the player on your left. 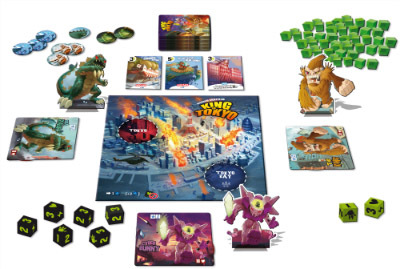 The game ends at the end of a round when a Monster reaches 20 or if only one Monster remains. 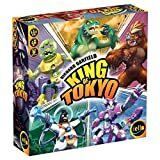 The Monster who reaches 20 or is the last survivor is crowned King of Tokyo!